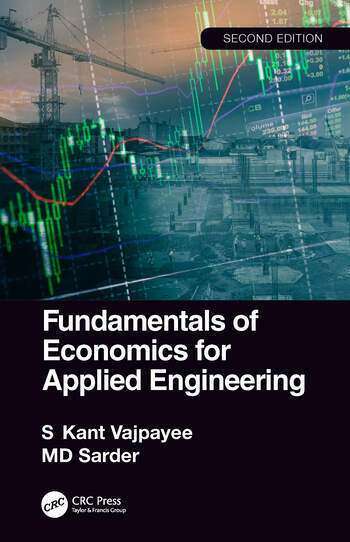 An easy-to-follow contemporary engineering economics text that helps making sound economic decisions without advanced mathematics. This one-semester introduction to the fundamentals of engineering economics provides an overview of the basic theory and mathematics underlying operational business decisions that engineering technology, engineering, and industrial technology students will face in the workplace. A basic knowledge of economics empowers a manager to balance costs with production. This new edition of Fundamentals of Economics for Engineering Technologists and Engineers is written in plain language. Concepts have been simplified and kept straightforward with an emphasis on "how to apply" economic principles. Practical examples as a tool for managing business data and giving detailed analysis of business operations. throughout the text make good use of Microsoft Excel templates, provided on the book’s companion website, for students. Chapter-end exercises provide discussion and multiple-choice questions along with numerical problems, and a solutions manual and instructor resources is given for adopting instructors. Dr. S. Kant Vajpayee is a professor emeritus at the University of Southern Mississippi. He is a distinguished educator, who has served in academia for more than 30 years. He has authored multiple textbooks in the area of engineering economics and computer integrated manufacturing, and he has taught engineering economics since the 1980s. Dr. MD Sarder is a professor and chair of Engineering Technologies at Bowling Green State University. He has worked at the U.S. Air Force Academy as a distinguished research fellow, and as an associate professor and graduate program director at the University of Southern Mississippi. He has authored three books, and has developed a BS program and an MS program in logistics, a research center on logistics trade & transportation, and numerous undergraduate and graduate level courses. He founded a division of Logistics and Supply Chain within the Institute of Industrial & Systems Engineers and has served as the editor in chief for the International Journal of Logistics and Transportation Research.